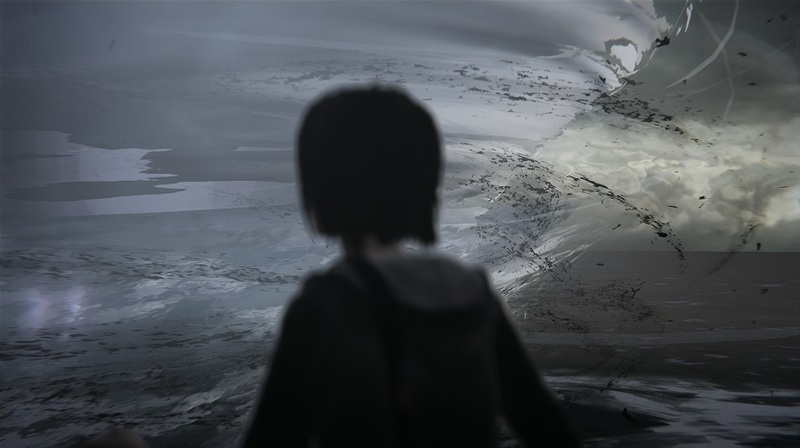 Life is Strange marks the comeback of DONTNOD, the prodigious French studio behind Remember Me. The latter not having sold as expected, the developer went through tough times and was searching for a publisher for their next project. After having been turned down several times because many companies didn’t want a heroine, SquareEnix stepped in to market this narrative game, which reminds us of Beyond. If I had to describe Life is Strange, I would say that it is a westernized visual novel mixed with a puzzle game. It’s gonna be a game in five episodes, so what we’ll be examining today on PS4 is only the introduction of that. You play as a young girl called Max (I guess it must have become a girl’s name at some point) who’s back in her native town in Oregon to study photography. Unfortunately, fishy events are taking place in the Empire town of Arcadia and Max also starts to have strange visions. 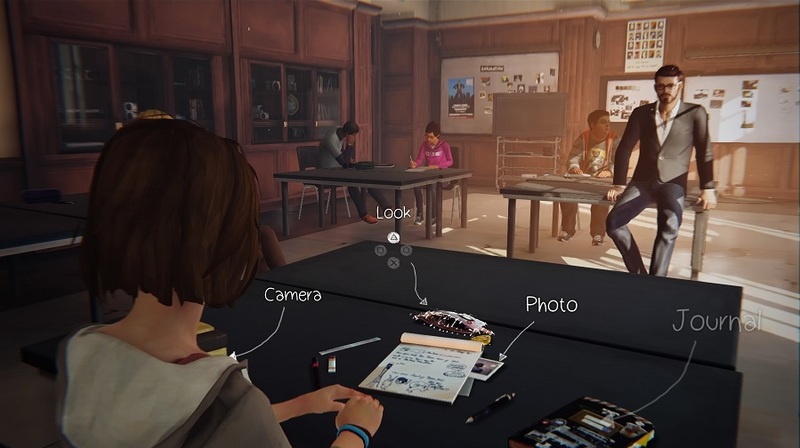 What seduced me in Life is Strange is the eerie and mysterious atmosphere that contrasts with the somewhat classic school life featured. The campus is like haunted after that some girl called Rachel Amber went missing. Everywhere but nowhere at the same time, she is a key-person you want to know more about. Even without a confirmed crime, every person around you seems suspect : it’s like Criminal Minds, except that you’re in charge. Max, shy and lacking self-confidence, has an interesting personality that echoes a certain number of issues of today’s world. Like Remember Me, which offered a unique and complex universe, Life is Strange deserves kudos for having very original settings and features (photography being the first of them) unlike many of the generic AAA those past few months. 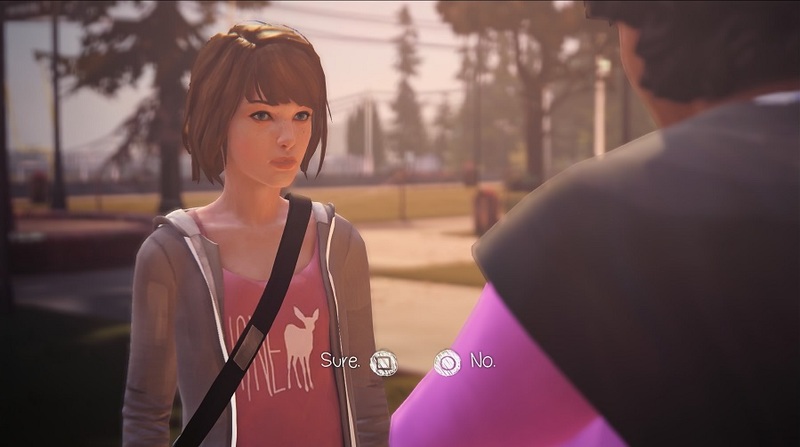 In Life is Strange, you’ll have to make choices, an the game direction knows how to make them particularly serious. At numerous occasions, the actions you take will affect your future, near or distant. Some are more important than others of course, but the game will put pressure on you regardless, because Max never stops wondering if she took the right decision. That said, the consequences within this episode weren’t as important as I expected : when doing a 2nd walkthrough making the opposite choices, the main events stayed more or less the same (for example, I expected the event at the parking lot to change completely). I’d say there’s some potential yet to be confirmed in that department, which we’ll know quickly since your actions today have an impact on future episodes. 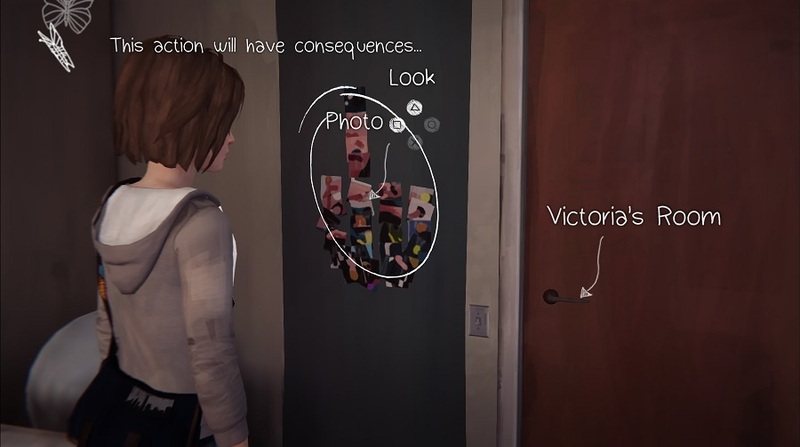 In terms of puzzles also, Life is Strange starts slowly : there are few of them and they’re not so elaborated. 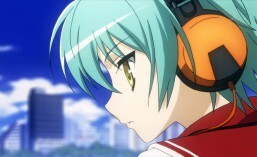 In fact, this first episode is more a matter of observation and searching, which fits RPG addicts like me. In particular, trophies are all about snapping rare shots in the different environments. That was very addictive as it involved small choices, but it’s kinda disappointing not to have trophies linked to important choices. Similar to Remember Me, puzzles and challenges in Life is Strange involve going back in time, and Max gets that supernatural power at the very start of the game. But it’s only valid on a few minutes, impossible to go back in 2012 to prevent the exclusivity of Bayonetta 2 for example. Max is not affected by those travels in time and can thus go back and use information earned in the present. The system allows you to perform numerous small thing, but nothing big yet, save that it adds some sense of grandeur to the story. Graphically speaking, DONTNOD’s game clearly lacks polish as models would make it appear as an early PS3 game. It clearly looks far less good than Remember Me, and I do reckon the developers didn’t have the freedom to go as far as they wanted to in that department. That said, Life is Strange has a lot of other decisive qualities, notably atmosphere and originality that make it stand out compared to today’s bland western offer. This entry was posted in preview and tagged DONTNOD, PC, PS3, ps4, squareenix, xbox. Bookmark the permalink. Sounds good. Narrative based games that incorporates QTE’s often recieve undue ridicule for their lack of gameplay. But titles like Heavy Rain were far more immersive than most games I’d played. Hopefully this can too. I noticed this on the Playstation store this week having never heard of it. 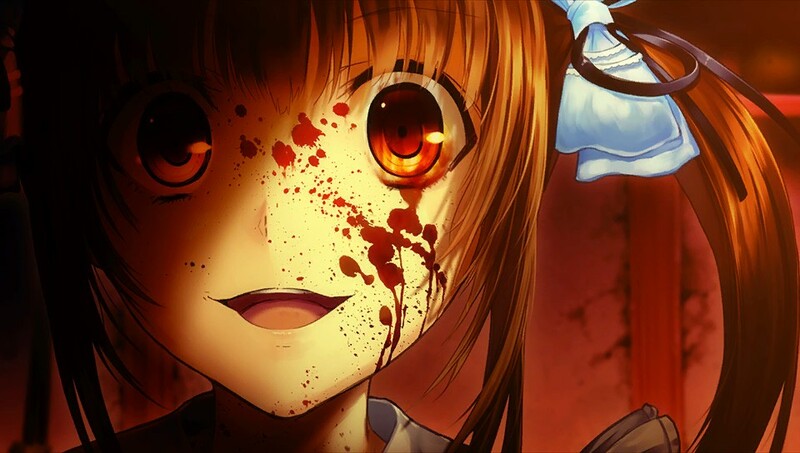 It sounds similar in Habberley style and structure to the Telltale games which is very good to hear. I may well have to check it out sometime. Love this game. Can’t wait for episode two.